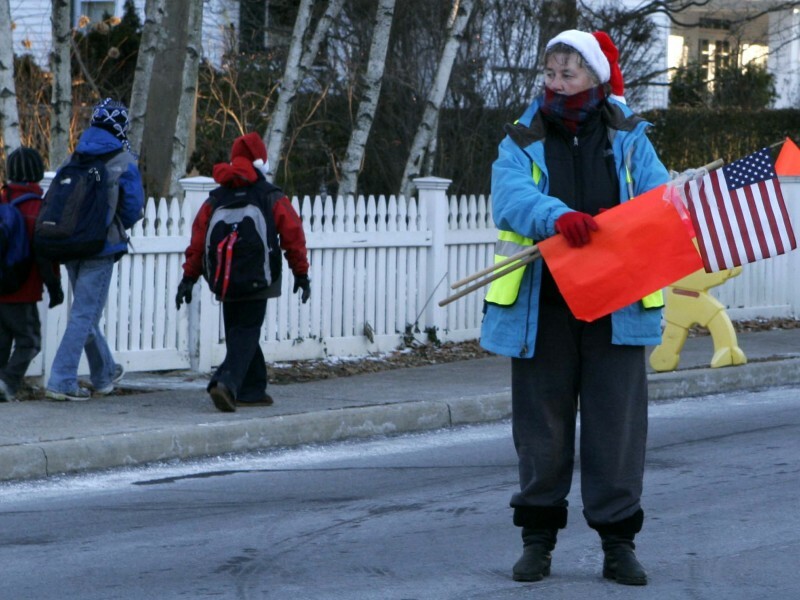 Lessons From A Crossing Guard | Red Said What? Posted on May 1, 2016 by Red said what? • This entry was posted in Childhood, On relationships..., Service and tagged children, community, crossing guard, inspiration, life lessons, parenting, relationships, schools, service, teachers. Bookmark the permalink. Doris always knows how to charm my son Andy. We have the great fortune to see Doris on Thursday afternoons when we pick up Jack from religious education. Andy loves to show Doris his latest artwork from preschool. She is always greets both of boys with a bright smile. It is treat to have someone like Doris in our community. She deserves to be written about. You did a nice job capturing Doris and what she does for our kids. Love this! And good for Doris. The world needs more of such great women, eh? What a gift to the community! Doris is a family favorite! 13 years of safe walks and hundreds of smiles! Thanks Doris! this is great. and true.